My need to nest and decorate is almost overwhelming. So I just think we need o look at pretty things today! 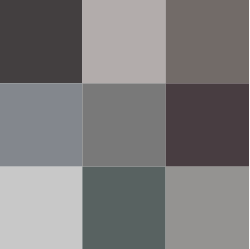 Here are some ideas for layering one colour- GREY!! This first room was an award winning design by Sydney design firm Tobias and Partners. I simply love love love this space- who would have thought that a tacky chandelier of balls, a table this colour, pac man carpet and office style chairs would turn into one of my top dining picks! Remember that because grey is the other neutral you can layer like you would whites or beige- there are plenty of shades of grey so you can look for a blue grey and mix with a white grey or a smokey dark grey. Look for patterns and textures and keep adding until you are happy with the result- different upholstery, smooth versus coarse textures, lacquer versus matt, woollen versus woven. 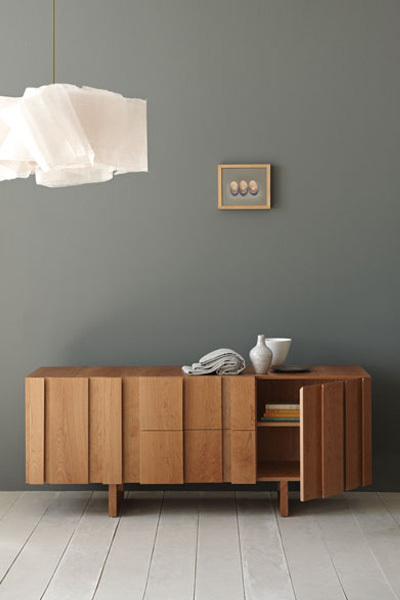 Remember that neutral loves natural- that is to say that these colours work really well with colours from nature and earth- woods of all shades and colours will pop against this palette. If you are unsure where to start go for the largest piece in the room- the walls or your key piece of furniture and add from there- rugs, vases, throws etc and remember to have one space where the eye can rest on a non-grey item. The top room would not work if that table was grey and the other shots need gold, green or prints to give the eye rest. Here is this weekend update Styling Idea # 10 Grey and Yellow – go back and check out the new images in one of my favourite colour combination’s of the moment! PS I hope you are reading this from your weekend cubby house! Now, before you get too inspired and run off thinking you can write a book too I encourage you log and BUY ONE HERE you will soon see that you are not really author material and can go back to enjoying your cushions and fish and chips. Way back when FURNNISH was only just 2 digits old I did a post on Yellow and Grey but I realised that I haven’t used half the yummy images in my grey folder. I am currently working on a inner city project that I am hoping to paint a grey wall in so as I pick the palette and deliberate I thought I would share so musings. This is a hugely popular trend at the moment so I know I will not win any blog awards with this one- but I still really like it! 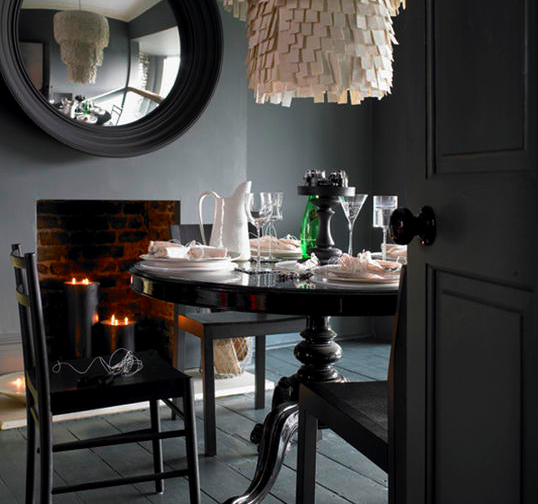 Don’t think gloomy, think fresh- add white, light wood and black to bring this to life. 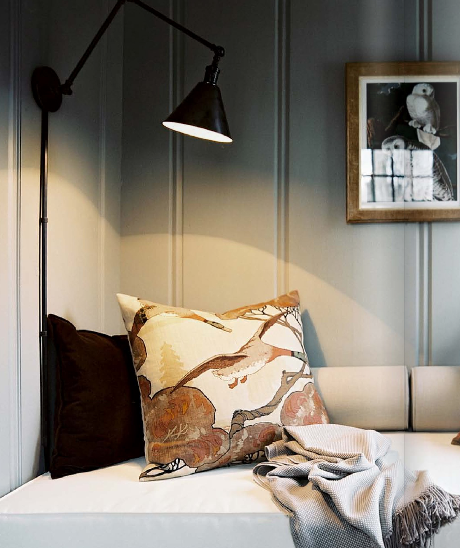 In tricky low light areas such as bathrooms or smaller rooms painting this grey will work better than just having grey dull sunlight coming through. That is to say if your white walls are not bright and sunny they may as well be bold and grey….make sense?? Try and it see what happens to any white features- they will pop. The same rules for colours apply with grey as they do with the white palettes- so play with a mixture of different bright colours and see what you can create. Fav colours for grey- ever green, white, wood, mustard, red, hot pink. The two bottom images show how a soft blue base grey can work wonders with woods, creams and browns- who would have thought?? I love it. DO take swatches home or paint test sections- grey will change a lot throughout the day and in different lights. DON’T use texture painting techniques. This is a rule I would like to make in all painting but marbled grey is cement gone wrong. DO get as much bright white or bright creams next to the grey as possible – keep the contrast up! DO understand that there are both cool (mixed with blue) and warm greys (mixed with yellow) – also look for greys from green palettes and aubergine. 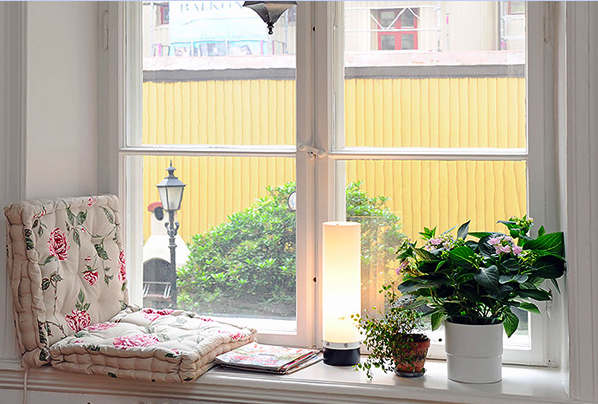 DO use grey if you have amazing windows out to a garden- the greens and grey will work wonders. 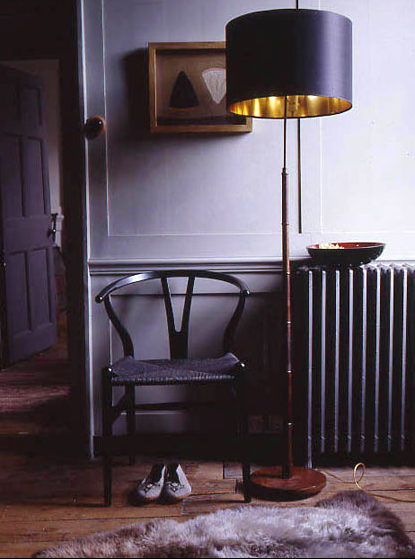 DO use brass, bronze, copper, mirrors and chrome- all things that shine like to hang out with grey. 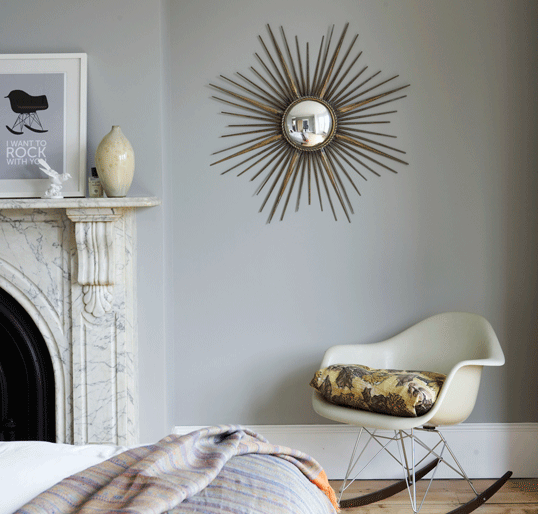 DO think about grey textures- fabrics, linen, wallpapers, knitted cushions and soft rugs all look so touchable in grey. DO check out Abigail Aherns palettes for more inspiration on this very popular trend.